Operating across a range of key industry sectors including: food & drink, furniture manufacture and health & safety. We are delighted to announce that Travis Perkins Plc have appointed OAL as their EPA organisation for a number of level 2 apprenticeships across their business. Built and led by specialists with more than 130 years' experience in the food & drink and qualifications industries. Our one-stop-shop end-point assessment services for both of the food and drink process operator standards now live! 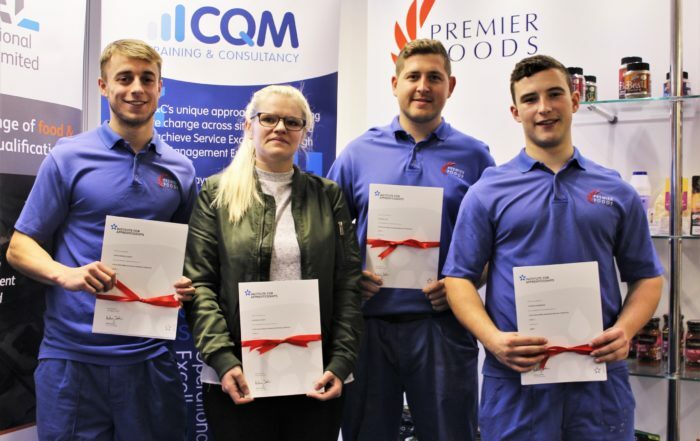 An unrivalled range of industry qualifications and apprenticeships; coupled with expert support to deliver a robust future for the furniture manufacture and wood sectors. A multi-faceted, multi-sector awarding organisation and end-point assessment organisation. Our industry-focussed qualification products and apprenticeship assessment services reflect the astonishing diversity of our specialism. Every product, every service is created and delivered by true industry experts. We offer a diverse portfolio of qualifications to precisely meet the needs of the key industries we serve. This is where the two strands of our business come together to drive the future of key industry sectors in England. As an apprentice assessment organisation we offer a one-stop-shop for flexible and efficient end-point apprentice assessment services. We are approved by the ESFA to offer EPA for a large number of apprenticeship standards to support our focus industries – food & drink and furniture manufacture. Our team is built of specialists with more than 130 years’ combined experience in the food & drink, furniture and qualifications industries. We know what it takes to achieve results, especially at times of great change. As individuals and as a team we will always go above and beyond to ensure that we deliver for you so that you can always deliver for your business. We really are your expert team.